I love shopping online. I really do. This is because I know what I like and what looks good on me (thanks to my styling background!). And l truly love doing shopping from my bed! 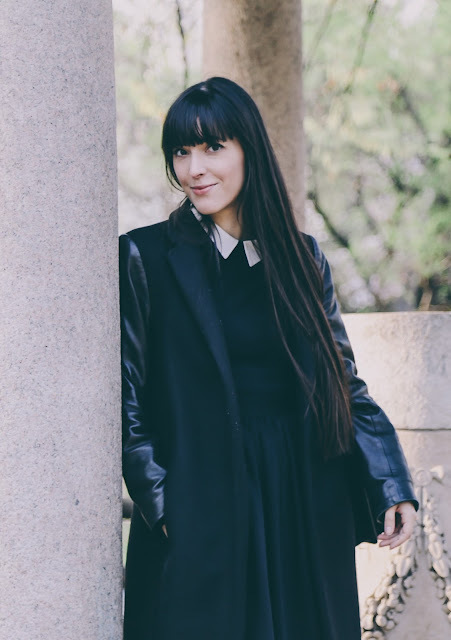 I buy quite always black dresses, black skirts, black or white t-shirts or shirts... so surfing around the web in order something right for me it's a kind of big work! Until I discovered Stylight, a very cute website that does all this work for me. Adoro lo shopping online, davvero. Probabilmente perché, grazie al mio background da stylist, conosco bene i miei gusti e so che cosa mi sta bene. Senza dimenticare che adoro fare shopping dal letto! Comprando quasi esclusivamente abiti neri, gonne nere e t-shirt e camicie o nere oppure bianche, girovagare per il web alla ricerca di qualcosa che mi vada bene è un bel lavoro! Fino a che non ho scoperto Stylight, un sito davvero molto interessante, che fa tutto questo per me. 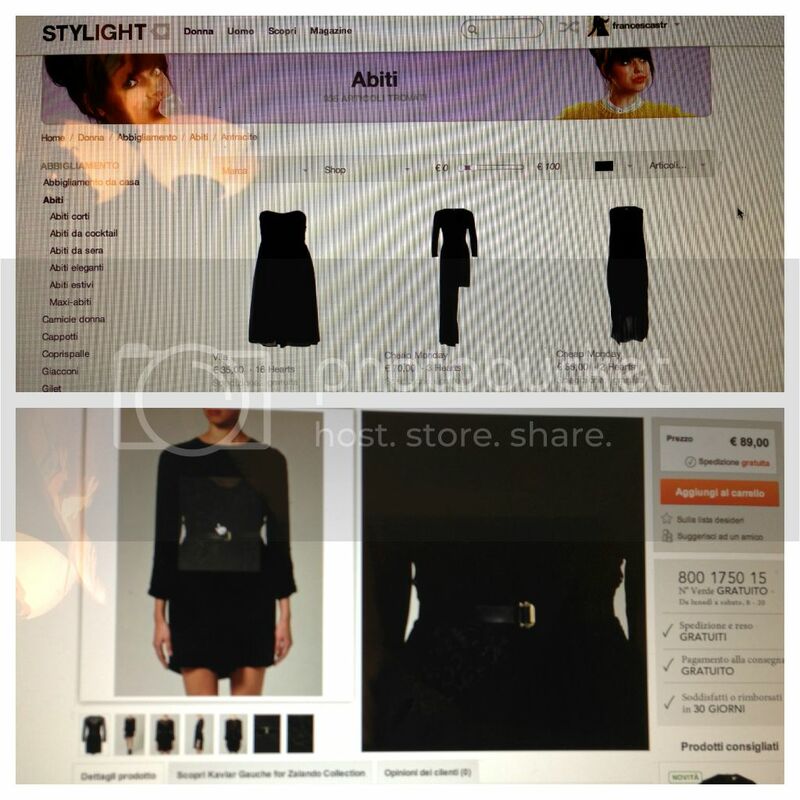 Stylight is like a virtual personal shopper, that helps you to find the perfect dress. In my case a black dress for €100 max, this incredible piece by Kaviar Gauche for Zalando Collection. It will definitely be my next online purchase!!!!! Stylight è come un personal shopper virtuale, che ti aiuta a trovare il vestito perfetto. Nel mio caso, un abito nero che costi meno di 100€. Ovvero quest'incredibile abito di Kaviar Gauche per Zalando Collection, che sarà il mio prossimo acquisto online!!!! Last but not least, this website is also a fashion community where you can follow other users, see their favorite items and discover yours (follow me!). Non ultimo, questo sito è anche una fashion community dove puoi seguire altri utenti, guardare i loro pezzi preferiti e scoprire quali sono i tuoi (seguitemi anche qui!). P:S: Stay tuned for my last purchases' post.